Moving into a home and rearranging your furniture is no problem with mobile, caster-based tables. The living room cocktail table features caster wheels on the base so you don't scratch the wood floor when you need to resituate the furniture or rearrange the room. 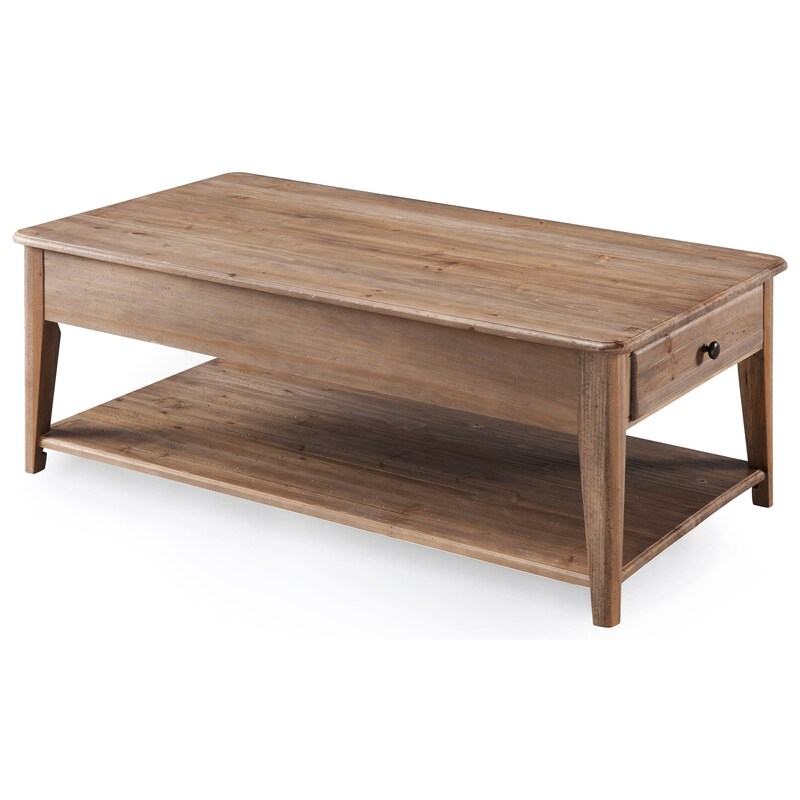 In addition to offering closed storage and open display for decorative items, this coffee table includes a handy lift-top, bringing the table top closer to you while you're sitting on the couch. The versatile and charming table also includes hidden caster wheels for easy mobility. The Baytowne Lift Top Cocktail Table by Magnussen Home at HomeWorld Furniture in the Hawaii, Oahu, Hilo, Kona, Maui area. Product availability may vary. Contact us for the most current availability on this product. Wood & Finish Hand finishing brings out the high quality, natural beauty of the wood. Durable finish coatings are used to resist the wear and tear of kids rugged use. Storage Two, Pull-Through Drawers on Each Side of Table. One Shelf. Lift-Top. Drawer / Shelf Construction French Dovetail in front, English Dovetail in back for strength and durability. An airy and light wood finish breathes new life into your relaxed room decor with the Baytowne collection. Baytowne is the perfect accent for a laid-back Casual or Coastal Cottage home with subtle distressing and a clean, simple silhouette. Versatile storage opportunities, like pull-through drawers on the lift-top cocktail table or the chairside table's built-in magazine rack guarantee that living room clutter doesn't interfere with your chic decor. The Baytowne collection is a great option if you are looking for Vintage Casual Casual Cottage Coastal furniture in the Hawaii, Oahu, Hilo, Kona, Maui area. Browse other items in the Baytowne collection from HomeWorld Furniture in the Hawaii, Oahu, Hilo, Kona, Maui area.